One of the biggest myths you will ever come across is the lie that you don’t need a credit card. What a load of garbage! Sure, there are negatives, but the positives tend to outweigh them. Let’s face it; who doesn’t want to rebuild their credit score or spread out debt? However, this only happens when you have a perfect piece of plastic in your pocket. With the wrong card, the cons can be catastrophic. So, it is your job to make sure the card you use is right for you. Don’t worry because you don’t have to do it alone. Here are the tips that will come in handy. There is one simple rule: better the rating, the better the offers. After all, card companies aren’t going to reward people who they can’t trust. So, it’s important to understand your score before you apply for specific promotions. First of all, it’s a waste of time if a rejection is inevitable. Plus, rejections can harm your rating in the long-term. By logging onto clearscore.com, you can find out in a matter of minutes. If the number isn’t what you expected, it’s time to rebuild and repair. Because they are pieces of plastic, they all look the same. But, looks can be deceiving as different companies offer different services. Are you looking to rebuild your credit score? If so, a card which helps with damaged finances is the way forward. 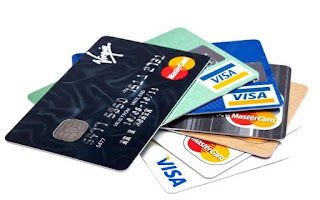 Or, if you’re looking to cut back on costs, a low-interest card is an excellent choice. The trick is to figure out what you need most out of the card and link it with the best service. To do this, you must analyze your finances and what you hope to achieve in the future. Unfortunately, it isn’t as easy as picking between a handful of options. Like all things in modern society, there is a wide-range of companies to choose from that all offer promising deals. Thankfully, there are ways to cut through the PR nonsense and come to an informed decision. The first is with an expert review service like offers.creditcard or moneysupermarket.com. Because they’re unbiased sources, everything they say is trustworthy. The second option is simpler and involves asking questions. By asking things such as “how long is the 0% interest period? ” the options will whittle away. Even if you don’t pay interest, there might be an annual fee. This is one-way sneaky card companies get around providing such lucrative deals. It might be less than one-hundred dollars, yet it’s still a hundred bucks you don’t want to pay. And, there is no reason to as long as you keep the fee in mind. Because it’s a competitive industry, rival firms will offer a better deal to secure your services. All you have to do is keep an eye out. Hopefully, this advice should come in handy the next time you need a credit card.